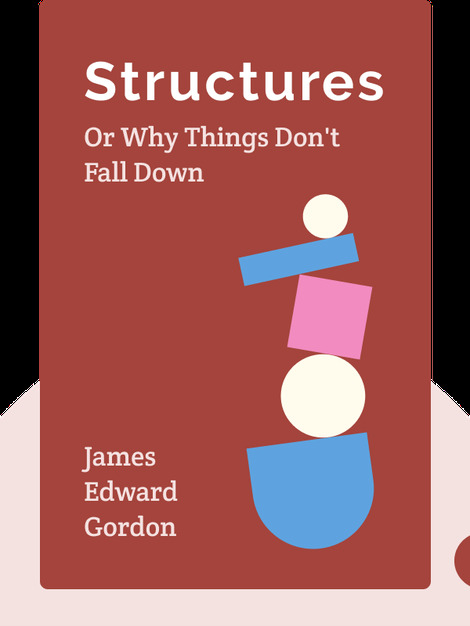 Structures (1978) examines the fundamental, physical laws that keep the physical structures of our world intact, from man-made structures like airplanes, to biological structures like the body of a horse. These blinks outline the ways in which our structures are prone to collapse, and the critical value of scientists who perform complex calculations to keep our structures sturdy – and keep us safe. 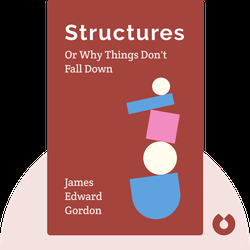 James Edward Gordon was one of the founders of the field of material science. He wrote several books in a highly respected academic career and was awarded the British Silver Medal of the Royal Aeronautical Society, as well as the Griffith Medal of the Materials Science Club.